Mama and I explored our neighborhood of Castello a bit more this evening. Our new friend Jonny, who runs a restaurant next to our apartment, recently pointed out to us all of the best shops for fruit and vegetables, fresh bread, wine and more. In California, we tend to purchase all of these items from one store. But in Italy, each food category is sold in separate stores. We had fun making our way to each shop and practicing our Italian. We picked up juicy, delicious moscato grapes, white peaches, bread rolls, a hunk of cheese and some olives, and a bottle of sweet wine — and then we brought it all home for a glorious picnic. 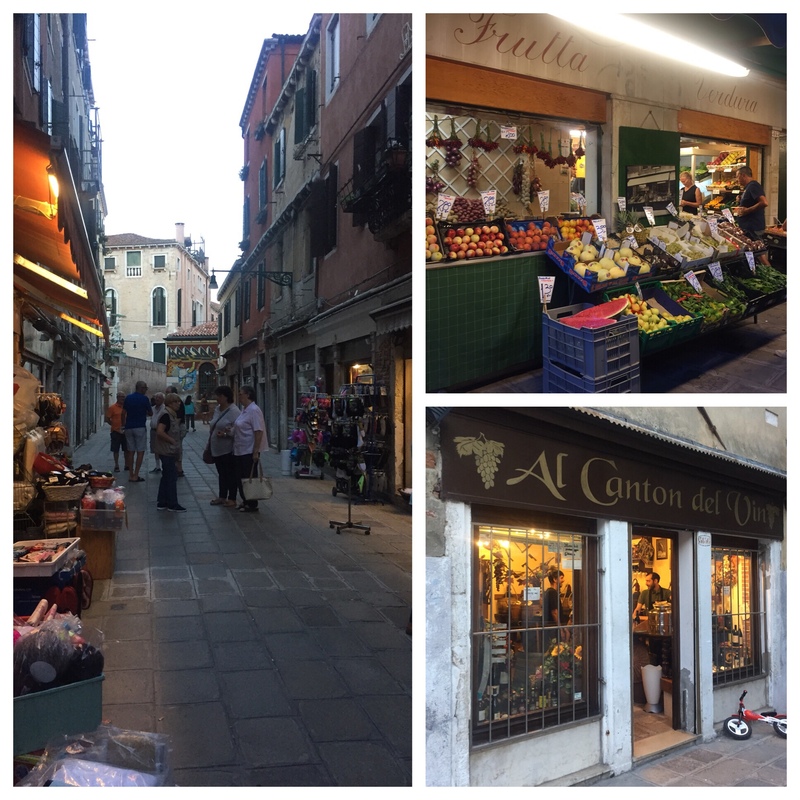 Today’s #OneGoodThing was food shopping like a local in Venice with Mama! Day 264 of 365. And Day 995 in a row (here’s the first 366 & the following 365)!